Three months into Microsoft’s “Windows as a Service” strategy, many of us expected to see significant progress in plugging the many holes in the “RTM” July 29 build 10240 release of Windows 10. Unfortunately, Windows 10 version 1511 -- aka Threshold 2, Fall Update, build 10586 -- takes only tiny steps in that direction. On the positive side, one flagrant problem with activation has been solved, and several apps -- Skype, Edge, Mail, Phone, and the media apps -- are distinctly better. There’s better support for high-resolution monitors. And Win10 version 1511 is certainly more stable than the July 29 RTM version. Win10 version 1511 has better drivers across the board, and the installation and upgrade routines aren’t as insistent on yanking out manually installed drivers. On the minus side, advertising, which has been lurking since early beta builds, makes an unabashed appearance. Automatic re-assignment of the default printer will confuse many. OneDrive is still poorly integrated, and the Start menu continues to resist customization. Hello works sporadically, and Continuum’s promise of seamless transitions between mouse and touch modes is a long way off. Edge, the wholly new browser, has yet to support extensions, so it's unusable for many. 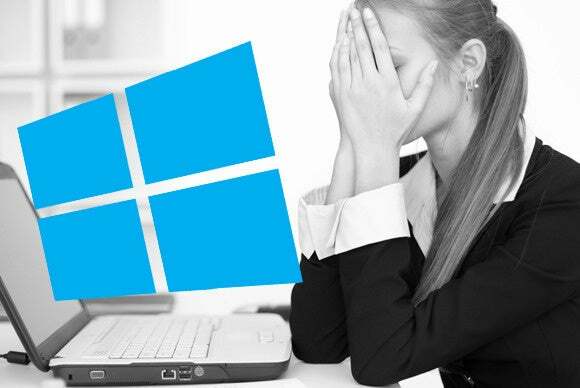 Most of the remaining showstopper problems with Windows 10 have more to do with the uncertainties around Microsoft’s patching and update policies and procedures, and less with the bits. We have promises from Microsoft that the situation will improve, that we'll be getting more information and control over updates. Meanwhile, would-be Windows 10 users have no clue what the future (or the next unbidden download) will bring. It hardly seems like the right way to run an operating system. Although we didn’t realize it at the time, the Win10 RTM “free” upgrade had to be installed in a specific sequence to keep your license intact. Those who clean installed Win10 from USB/CD frequently found out that their “free” upgrade resulted in a “not genuine” copy of Windows 10. Microsoft didn’t bother to explain the proper sequence until 100 million people or so had upgraded. Win10 version 1511 lets you type in your old Windows 7, Windows 8, or Windows 8.1 activation key, and validate Windows 10 online. As long as your Windows 10 version (Pro or Home) matches up with your previous Windows edition, you should have no problems activating. Most recent PCs have the activation key burned into BIOS -- there’s no certificate or sticker with a 25-digit activation code. Is the new Win10 version 1511 activator smart enough to grab the key on all Windows 7, Windows 8, and Windows 8.1 machines? What happens to the folks who upgraded to Win10 RTM and flubbed activation because Microsoft’s instructions were inadequate, and are now trying to install Win10 version 1511? We should know better in a few weeks. Colored title bars make an appearance in version 1511 (Settings > Personalization > Colors, turn on “Show color on Start, taskbar, action center, and title bar”). You’ll find other cosmetic changes in right-click context menus and icons. Figure 1: Win10 version 1511 adds four-wide blocks of tiles and, alas, advertising for Suggested apps. The Start menu is still disappointing, as there's little you can do to customize it. Worse, Microsoft has started its long-anticipated advertising in the form of Suggested apps (see Minesweeper at far left in Figure 1). On the right, you now have the choice of making the groups of tiles either three or four wide. Fortunately, both Start10 and Classic Shell replacements work fine in Win10 version 1511. The old bug where Start started lopping off more than 512 apps has been fixed, replaced by a more distant limit of 2,048 tiles or apps before Start goes bananas. Windows 10 does include a way to manually specify the scaling level for a given display. However, such scaling only works properly for applications that are aware of it -- and even then it has limitations. Try running Microsoft’s own Hyper-V on a high-resolution screen. As of this writing, we haven’t seen the details, but anecdotal evidence suggests that resolution scaling is better in Win10 version 1511. On the downside, Win10 version 1511 takes it upon itself to change the Windows default printer every time you manually switch printers. You can eliminate this annoyance by going to Start > Settings > Devices > Printers & Scanners, and sliding the “Let Windows manage my default printer setting” to Off. Many of the built-in features in Windows 10 RTM have received some help in the new version 1511. The changes aren’t as extensive as many of us had hoped, but they’re noteworthy. It remains to be seen if Microsoft will grace us with minor “Windows as a Service” upgrades before the next big bump in Windows 10 arrives in the coming year. Cortana. Microsoft’s voice-activated assistant has experienced several improvements since RTM. Cortana can now function without a Microsoft account. There’s better “ink” (stylus input) recognition, event reminders, voice-activated Uber bookings, and even missed call notifications if you hook up your Windows 10 phone. Cortana in version 1511 can sync your messages and call history. It can finally send SMS messages, if it’s connected to a Windows 10 phone. It can even create and send email, although it still has problems with word recognition, and it’s hard to insert punctuation marks. Cortana is getting smarter in general, and she’s breaking out of the Windows box: Microsoft has been running a beta test program for Cortana on Android for several months, with uneven results, and the company recently announced a beta test program for putting Cortana on iPhones. Edge. Microsoft’s new browser must rate high on any version 1511 upgrader’s disappointment list. While we were expecting a ready-for-prime-time competitor to Firefox and Chrome, the version of Edge in Win10 version 1511 falls short in many respects. Most painfully, it doesn’t support extensions. For me, the lack of a LastPass extension is a showstopper. There have been some improvements, though. Since RTM, Edge has picked up the ability to sync settings across machines and to show previews of pages when hovering on a tab. When using Edge as a PDF reader, you can select words or phrases, then right-click to have Cortana look them up. Edge also has the ability to cast directly to a Miracast receiver, which you can pop into a TV or projector. Still missing: A reasonable way to set the default search engine; the ability to set multiple home pages in different tabs; file drag and drop; a worthwhile favorites/bookmark manager; thumbnails in the taskbar; an advanced download manager. You can probably think of others. Hello. You’ve seen the ads, and you’ve heard the testimonials: Windows Hello logs you straight into Windows as soon as the camera can see you. A new feature in version 1511, Hello is startlingly quick and so accurate it can distinguish between twins. That’s the promise, anyway. Right now, aside from a developer’s toolkit, the most common commercially available, driver-tuned Hello cameras are on the Surface Book and Surface Pro 4. Ask a friend who owns one, and you’ll find out that Hello isn’t all that reliable. Some say it works better at night. Others say they’ve lost more time getting Hello to work than they’ll ever save with automatic face recognition. It’s true that other manufacturers claim to have Hello working with their Intel RealSense cameras, but there’s been a surprising ring of silence since the RealSense camera driver update on Aug. 25. Of course, hardware manufacturers will stumble all over themselves to have functioning Hello cameras out by the holidays. The Windows Hello fingerprint reader, by contrast, seems to work well. The new cover for the Surface Pro 4 (which also works with the Surface Pro 3) has a compatible fingerprint sensor. Other fingerprint readers may or may not work; the driver situation is still up in the air for many readers. Find my device. As with Apple’s Find My iPhone and Android Device Manager, you can tell Win10 version 1511 to keep you posted on your computer’s last location, and reach out and find it if it’s turned on. Try Start > Settings > Update & Security > Find My Device. Hyper-V in Hyper-V. For those who work with virtual machines, the new ability to run a Hyper-V virtual machine inside a Hyper-V virtual machine may come in handy. The trick? The Hyper-V machine that’s spawning new VMs has to be running Windows 10 version 1511. You can’t, for example, make a Windows 7 Pro VM that’s running a Windows 7 Home VM. Windows Spotlight. It’s an advertising gimmick, but Enterprise admins may find Spotlight useful. Windows Spotlight rotates images from Bing on your lock screen (nice ones, too). But as I explained five months ago, Spotlight is a convenient place for Microsoft to stick ads. Admins may be able to access the Spotlight screens or ad slots independently. Time will tell. SD card support. With Win10 version 1511, you can finally stick your apps on SD cards. Try Start > Settings > System> Storage. Continuum. While the term has taken on many different meanings -- from the ability to detach a machine’s keyboard without all hell breaking loose, to the ability to use your phone as the center of a desktop system -- much of the promise of Continuum will have to wait until the hardware is ready. That isn’t going to happen until next year or later. It’s hard to draw a line between “features” and “applications” in Windows 10 (case in point: Edge), but the Universal/Metro apps bundled with Win10 have picked up new smarts. Skype. There’s lots of marketing talk about “Windows 10 Skype integration.” I don’t see integration as much as I see a few new Universal/Metro apps that implement parts of the Skype shtick: Skype Video (for videoconferencing), Messaging (for text messages, but no traditional SMS), and Phone (for phone calls and audio chat). Only the video app is identified as “Skype” in the all apps list, but all three use Skype beneath the covers, and all three share a single Skype directory. Microsoft has taken the old, monolithic Skype desktop app and turned it into three independent Universal apps. The old desktop app has a well-deserved reputation for being unstable and hard to use. The new Universal apps work much more reliably, but don’t do much beyond the essentials. Treat these “integrated” Skype apps as version 1.0, and you’ll have the right idea. People are complaining about all sorts of problems: crashes, freezes, inability to connect. On the plus side, the ability to use a “regular” phone number to identify a contact is a big step forward. OneDrive. Many of you remember that the Metro OneDrive app from Windows 8.1 -- which supported “smart files” that showed thumbnails of all files in File Explorer, whether they were synced or not -- was yanked in Windows 10 RTM. Microsoft hasn’t brought it back: In Win10 version 1511 you can have folders and files in your OneDrive that are neither visible nor accessible through File Manager. The OneDrive app in Win10 version 1511 doesn’t show all of your OneDrive folders; it merely opens up File Manager to the OneDrive folders that are visible on your computer. To see all of your OneDrive folders and files, you have to log on to OneDrive through a Web browser.